Only 4 months and a half for the beginning of one of the most anticipated events of the summer: Women’s World Cup. The most intense games and all the focus on women’s football; which is growing faster than ever. To commemorate 28 years of its aperture, FIFA TV has interviewed one of the greatest players of all women’s football era: Sun Wen. 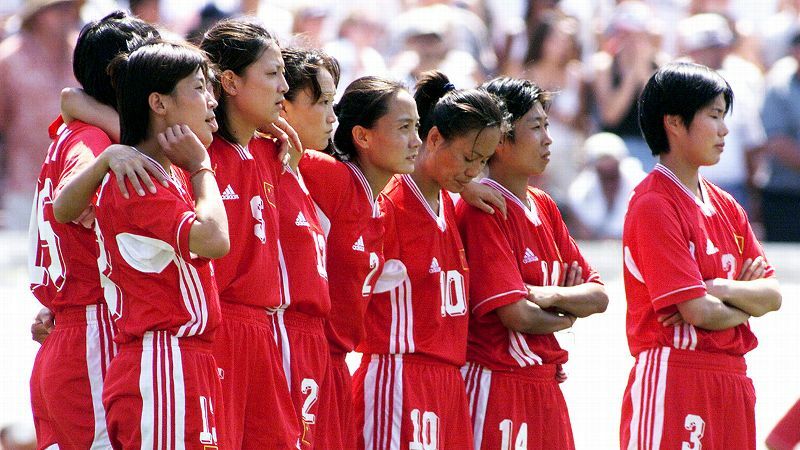 The Asian attacker led China to the final of the 1999 World Cup, one of the most impactful events in Women’s Football history, and later on, won the Adidas Golden Boot and Golden Ball at that same event. Unfortunately, in the 1999 edition, one of the most famous moments of the tournament was American defender Brandi Chastain’s victory celebration after scoring the Cup-winning penalty kick against China. The final game at the Rose Bowl in Pasadena, California had an attendance of 90,185 people, a world record for a women’s sporting event. China lost that time, but, the following year, Sun was named along with Michelle Akers best player of the twentieth century by FIFA. On the interview, Sun was asked about the best moment in her career. The Chinese legend didn’t have it easy when deciding on the most outstanding moment of her career since she had plenty of options to choose from. One of the greatest figures in the history of women’s football played four editions of the FIFA Women’s World Cup and did so in an outstanding way. The inaugural match of the first World Cup. In 1991, which he referred to as “the most memorable experience of my life”. “My best memory of the World Cup goes back to when I participated in the first edition, which was played in China,” she said. The initial nerves were not reflected in the performance of Sun and his teammates, who, to the delight of the 65,000 spectators present, thrashed by 4-0 to a Norway that would end up proclaiming runner-up of that contest and conquering the World Cup title four years later. Who will win the acclaimed trophy?